We ask you to register in advance: ina.borkenstein(at)uni-koeln.de. Mobility is fundamental in human life on many facets and across numerous scales. 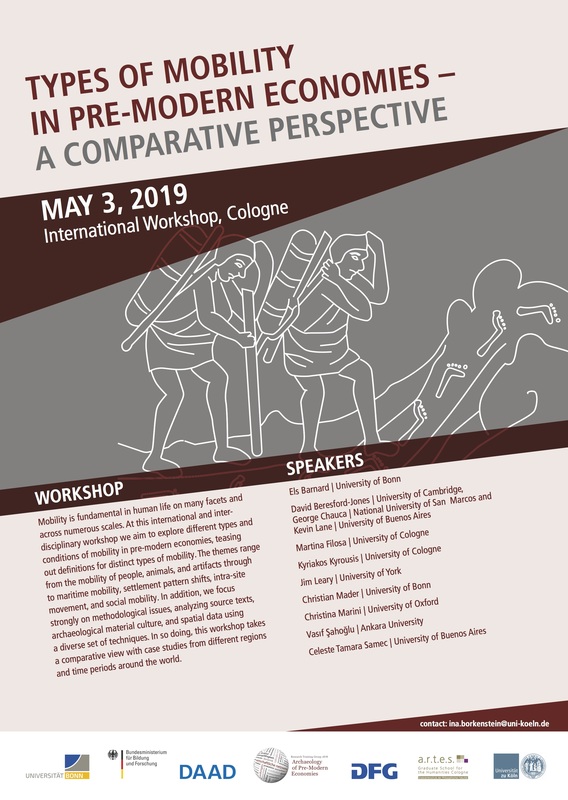 At this international and interdisciplinary workshop we aim to explore different types and conditions of mobility in pre-modern economies, teasing out definitions for distinct types of mobility. The themes range from the mobility of people, animals, and artifacts through to maritime mobility, settlement pattern shifts, intra-site movement, and social mobility. In addition, we focus strongly on methodological issues, analyzing source texts, archaeological material culture, and spatial data using a diverse set of techniques. 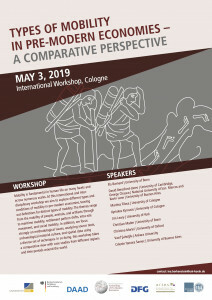 In so doing, this workshop takes a comparative view with case studies from different regions and time periods around the world. Model for the Roots of Andean Pastoralism?